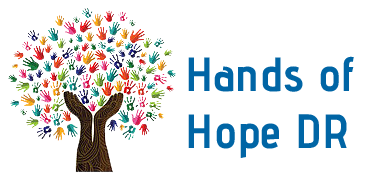 ​Hands of Hope was born with the vision of bringing God’s kingdom closer to the people in the communities of the Dominican Republic. To accomplish this goal, we are expanding the work beyond our current communities. Our staff have identified the following communities near the city of Santo Domingo and in Southern DR for development and assistance. This community, located 13 miles NW of Santo Domingo, has only 60 families. The whole town shares 4 bathrooms. They have a manual well, but the water is too salty to drink, so they have to buy bottled water. Almost 100% of the houses are made of old metal scraps and are in bad condition. There is a school that goes from 1st - 6th grade, but it is not recognized by the Ministry of Education. The teachers are paid by an organization called Colibri and the baseball player Miguel Batista. Not many students finish their education. The community association does not work. The community is a little older than 50 years. This community is located on the north side of Santo Domingo. Las Colinas has about 300 families, with an average of 5 people per family. There are approximately 500 children. Construct sturdy houses. About 50% of the houses are in very bad shape. Also, homes made of metal are dangerous in storms -- flying metal. Build banos (latrines). Over 30% of the families have no bathroom or the one they have is in very bad shape, causing major contamination for the entire community. Build a school. This community does not have a school building. The Ministry of Education is paying for two facilities where the children are taking classes. There is a risk that children are kicked out whenever the Ministry of Education does not pay the rent. The school goes from 1st -8th grade. After 8th grade the students have to walk, travel by motorcycle for about 2 km to be able to finish high school. Around 60-70% of the students finish high school. Build a recreation space. The community does not have any sport facility where the youth can practice a sport enabling them to keep their mind busy and stay away from drugs, alcoholism and other things that these youth are at risk for. There is an evangelical church in the community from the Assembly of God church. In addition, there is a neighborhood association which the community changes every two years. ​This community has approximately 500 families. The majority of income comes from agriculture and informal jobs. 50% of the families don’t have a bathroom or latrine. The houses are in bad condition. There are two schools: one school has children from 1st - 4th grade, and the other school (which is 1 km away) has grades 1st - 8th. There is a neighborhood association. Brisa is located one hour north of Santo Domingo. Brisa was founded in 2000 and has about 225 families with a population of 1125. The Municipal Hospital is about 2 km away, in the town of La Victoria. Build banos (latrines). 45% of the families don’t have a bathroom or latrine; people use buckets or go behind bushes. Build a well. The community has water, but not every family has water in their home. Construct houses. Houses are in very poor condition. The community has very good soil, making it a great opportunity to improve lives through agriculture projects. Provide workshops. Some of the people work in Santo Domingo, but the majority of the people live from informal jobs like agriculture, day laborer, selling anything on the streets. There are 3 Christian churches in the community. The leadership is strong and seems to be organized; they are waiting for somebody to work with them. Batey Palamara is located on the northwest side of Santo Domingo. It has approximately 500 families. About 30% of the people in this community are Haitian. Hope International has small loans, which is one of the main income they have. These loans are basically for women who to have a beauty salon, gifts shop, etc. About 60% of the families don´t have latrine/bathroom. The community has water but not all the families have water in their houses because the aqueduct does not supply the water the community needs. There is a school that goes from 1st - 8th grade. The students walk to the next community which is at 1 km to be able to finish high school. Capulin is a community populated by approximately 450 families and about 800 children. Construct and repair homes. About 60% of the homes are in disrepair and have dirt floors. Build banos (latrines). Capulin has very old banos, which contributes to significant contamination for the community. The community has a school that goes from 1st - 7th grade. The closest high school is a 9 km walk. Build a recreation space where the youth of the community can play baseball or soccer. A child coordinator visits the homes monthly. Presently three children are receiving additional medical care paid by Hands of Hope. Local farmers have attended two courses on planting onions, bell peppers, tomatoes, papaya, and spinach. They were pleased at the prospect of expanding their fields. El Almirante is a large community on the east edge of Santo Domingo. Over 800 families live there. HOH has focused on an area, formerly called "the hole," that served as the town dump. Because it was the dump, land was cheap, and people who wanted to own their own home moved in. Because they virtually built in a "hole", when it rained trash and mud poured off the walls of the hole and flooded the small neighborhood. The community is northwest of Santo Domingo. The Pastor and community leaders working together to impact and care for the community. Dimedes – Chris Hurt, Jim & Alicia prayed over his land and he now has a house and an amazing garden. He was the original person to work the garden project.